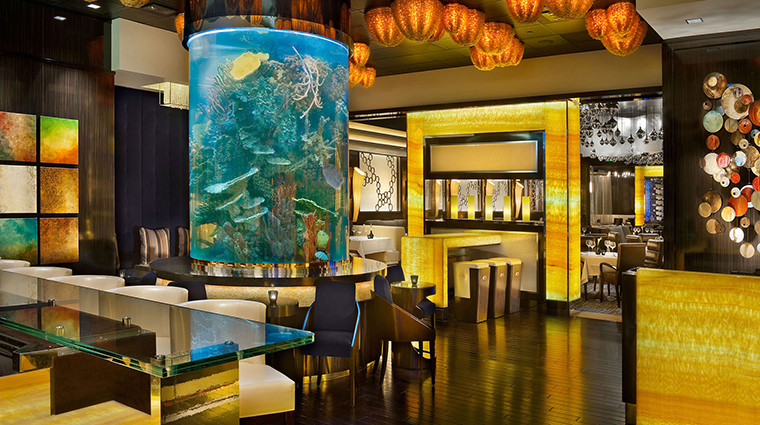 A 1,100 gallon saltwater fish tank filled with tropical baubles swimming here and there occupies the center of the bar at Atlantis Steakhouse. The tank offers the only hint the steakhouse once sported a colorful under-the-sea look. Today, that’s all gone thanks to a multi-million refashioning. 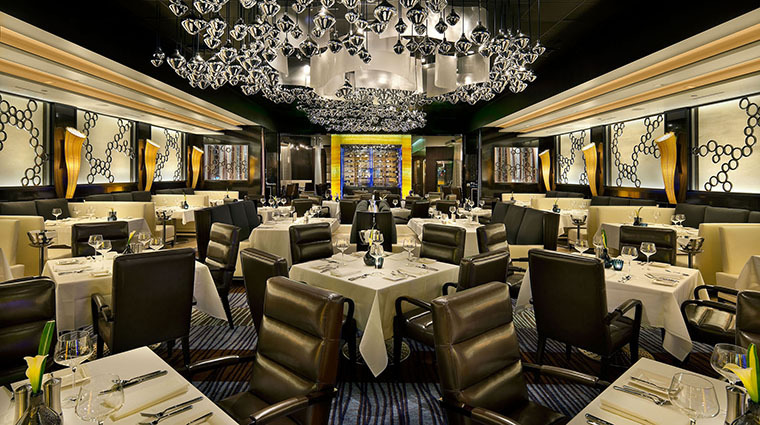 Now, Atlantis Steakhouse looks like a restaurant you’d find in Las Vegas or on the 100th floor of a Shanghai skyscraper. 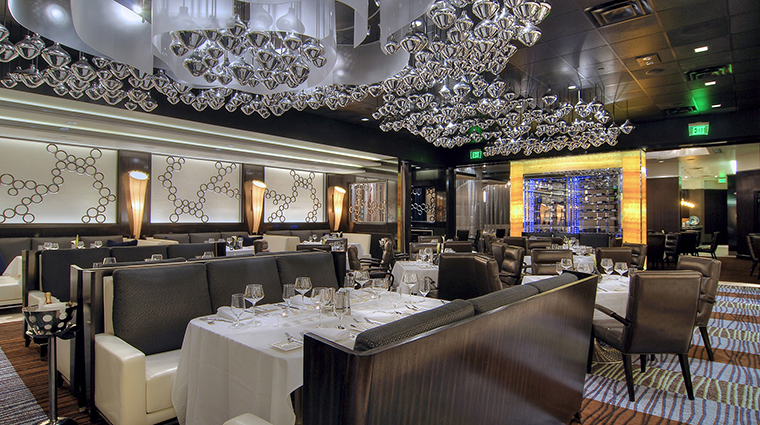 The menu at Atlantis Steakhouse is proudly traditional — with some modern touches. There are prawn cocktails, seafood towers and California abalone, a great delicacy: It’s breaded, tender-chewy and spiked with lemon. Salads? 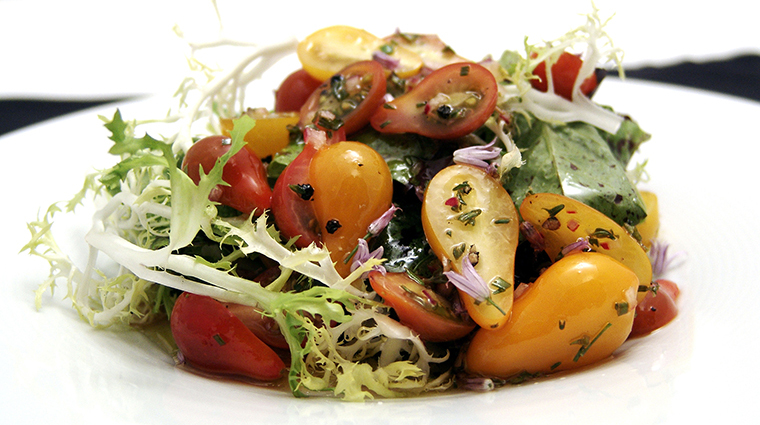 There’s a classic wedge, or a traditional Caesar or spinach prepared tableside. 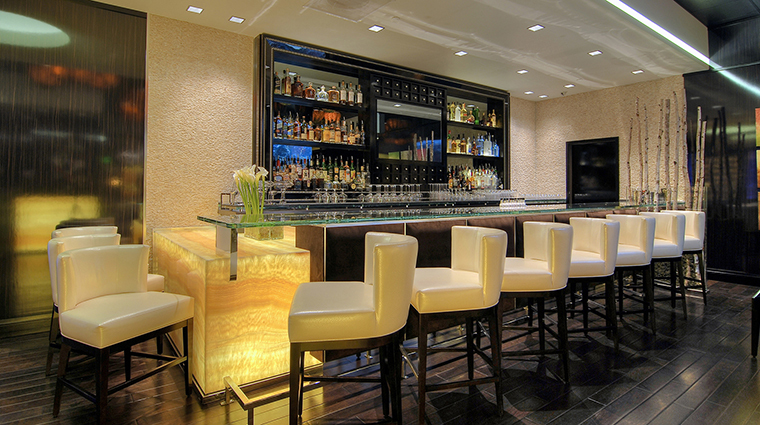 At the bar, mixologists who must know at least 100 drinks by heart shake up classic cocktails like sazeracs or signature cocktails like a must-try Moulin Rouge (raspberry vodka, elderflower liqueur, bitter apéritif, rhubarb bitters, fresh raspberries). Scallops are graced with lobster butter sauce. Wild king salmon enjoys a flurry of fried basil. 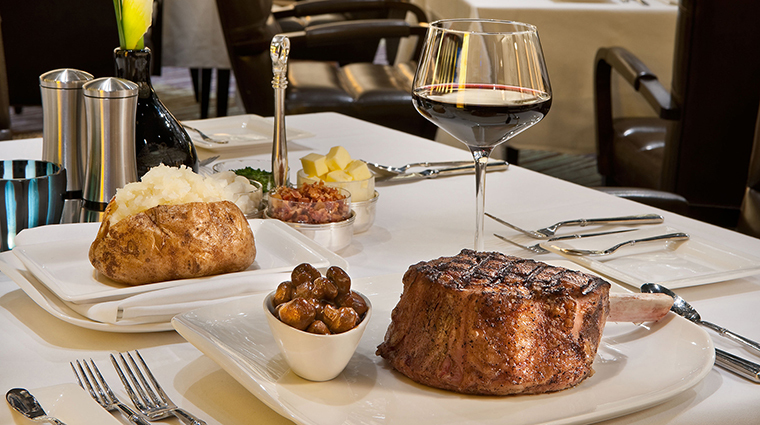 Steaks and chops at Atlantis Steakhouse are USDA Prime grade, and dry-aged 28 days. 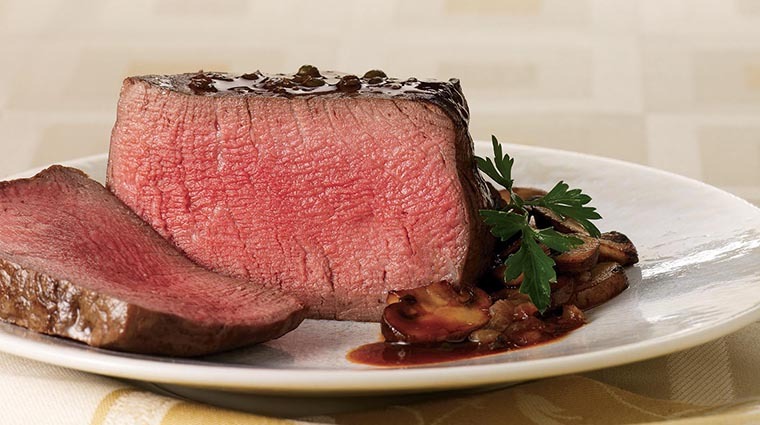 A 36-ounce bone-in cowboy ribeye is prehistorically brawny and big enough for two. And don’t forget sides such as truffled macaroni and cheese and spicy creamed corn, or for dessert, ice cream crafted tableside using dry ice that billows as it turns into vapor. Diners have been known to clap.